With an IBM supercomputer set to play the game of answers and questions this week, hope for the human race might rest more in Alex Trebek’s sarcasm than Ken Jennings’ brain. In a recent fascinating “Nova” episode about the story behind this week’s “Jeopardy!” showdown pitting an IBM computer against the TV program’s two greatest players, host Alex Trebek muses about his own expendability. Not that we believe for a millisecond that Trebek believes that. As eager as we are to watch trivia powerhouses Ken Jennings and Brad Rutter go up against supercomputer Watson for three shows starting Monday, we are, in a perverse way, more looking forward to seeing how Trebek interacts with his first (officially) non-human contestant. There’s more than just a $1 million jackpot on the line: the future of the human race might depend more on Trebek’s sarcasm than Jennings’ and Rutter’s brains. For nearly three decades, Trebek, the man who holds the questions to the answers, has been the smug face of the most successful incarnation of the game show invented by Merv Griffin (how’s that for trivia!). Trebek keeps the show going at a rapid pace, which can make the contest pulse-pounding and exhilarating at times. But the smarmy air of superiority that can creep into the host’s tone as contestants contend with balky buzzers, hot studio lights and fear of being booted from Mensa serves to alternately entertain and infuriate. “We all know it was Jackson Pollock,” Crain snaps, channeling Trebekian haughtiness. After this episode, the IBM geeks begin to figure out how to make Watson, already possessing the power of 6,000 home computers, “learn” from its mistakes – not only improving its chances of winning on “Jeopardy!,” but potentially representing a major stride in artificial intelligence technology. By the end of the “Nova” segment, it begins to look like Jennings and Rutter will have their work cut out for them. 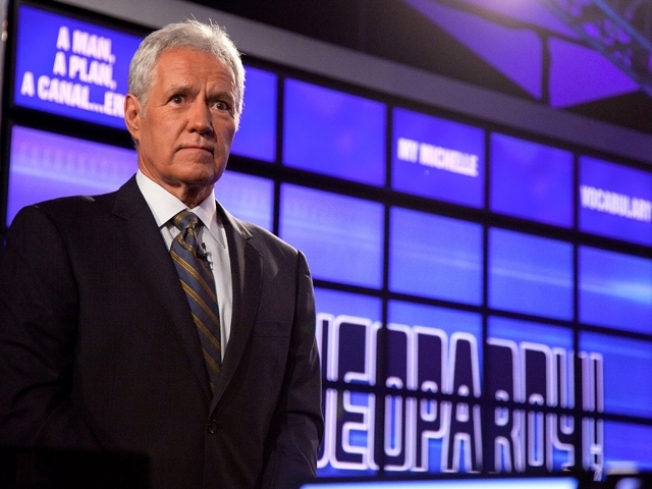 But it may be Trebek who has the biggest stake in whether one day this answer – “This supercomputer made its ‘Jeopardy!’ debut on Valentine’s Day, 2011” – is read by him or Watson’s cutthroat cousin HAL.